Vitamin B12, also called cobalamin, is one of 8 B vitamins. Among the vitamins, the vitamin B12, also called cyanocobalamin or B12 cobalamin possesses the largest chemical structure and is vital to many bio-chemical processes in the human body. This vitamin has a unique chemical structure among all the other vitamins, in that a metal, namely cobalt - is a vital structural component. Cobalamin was not successfully synthesized in the laboratory till the year 1972 due to the complex biochemistry. Vitamin B12 is an especially important vitamin for maintaining healthy nerve cells, and it helps in the production of DNA and RNA, the body's genetic material. Vitamin B12 also works closely with vitamin B9, also called folate or folic acid, to help make red blood cells and to help iron work better in the body. Folate and B12 work together to produce S-adenosylmethionine (SAMe), a compound involved in immune function and mood. Vitamins B12, B6, and B9 work together to control blood levels of the amino acid homocysteine. High levels of homocysteine are associated with heart disease. However, researchers aren't sure whether homocysteine is a cause of heart disease or just a marker that indicates someone may have heart disease. It’s rare for young people to be deficient in vitamin B12, but it’s not uncommon for older people to be mildly deficient. That may be because their diets are not as healthy or because they have less stomach acid, which the body needs to absorb B12. Low levels of B12 can cause a range of symptoms including fatigue, shortness of breath, diarrhea, nervousness, numbness, or tingling sensation in the fingers and toes. Severe deficiency of B12 causes nerve damage. The daily requirement for folic acid intake increases substantially during pregnancy. Pregnant women who are folate deficient have an elevated risk for giving birth to infants who have a low birth weight, are premature, and/or babies who suffer from neural tube defects. Neural tube defects can include such things as cleft palate, spina bifida, or even brain damage. Neural tube defects (NTDs) impact almost 4,000 pregnancies in the U.S. every year. The Center for Disease Control and the United States Public Health Service have estimated that an intake of 400 micrograms of folic acid each day could possibly result in the prevention of almost 70% of birth defects. Vitamin B12 promotes healthy growth and development, the production of critical substances necessary for proper cell function, and for metabolizing nutrients required for normal cell growth. Cobalamin also acts to aid in the production of genetic material, DNA and RNA. Cobalamin plays an integral role in the processes related to numerous body chemicals and helps the body to utilize amino acids and fatty acids. Vitamins B12, in conjunction with vitamins B6 and B9 (folic acid), functions to regulate the levels of the amino acid homocysteine in the blood. High blood homocysteine levels are thought increase the risk ofr vascular disease and certain birth defects. 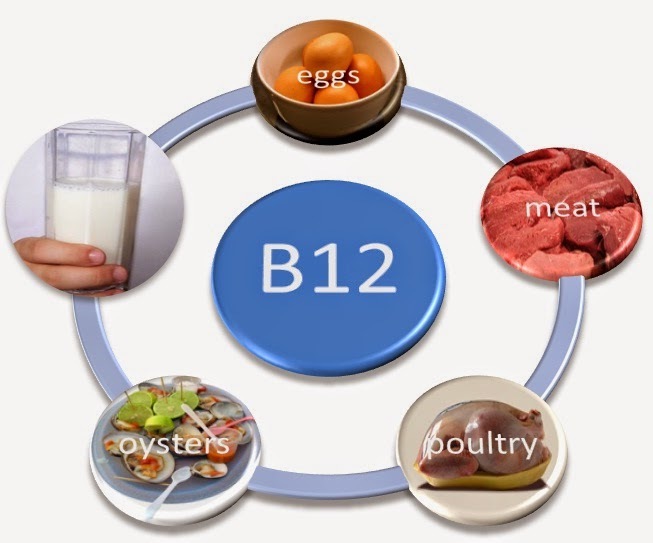 Vitamin B-12 has been looked at as a treatment for many diseases and conditions. These include fatigue, Alzheimer's disease, breast cancer, high cholesterol, and sickle cell disease. However, the results have been inconclusive. Studies suggest that vitamin B-12 does not help with stroke risk or lung cancer. 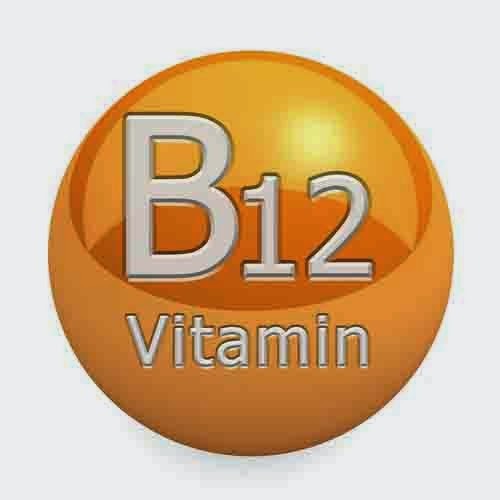 Vitamin B-12 supplements do help people who have a deficiency. Low levels of vitamin B-12 are more likely in people over age 50. Vitamin B-12 is also more common in those with certain conditions, like digestive problems and some types of anemia. Low vitamin B-12 can cause fatigue, weakness, memory loss, and other problems with the nervous system. There is some conflicting evidence about using vitamin B-12 to treat elevated levels of homocysteine in the blood. It is not fully understood how or if this elevation contributes to heart disease and other problems with blood vessels, or if the elevation is a result of these conditions. A high level of homocysteine in the blood is a risk factor for coronary, cerebral, and peripheral blood vessel disease. Risks also include blood clots, heart attacks, and certain types of stroke. A recent study showed that vitamin B-12, used with folic acid and vitamin B6, reduces the risk for age-related macular degeneration (AMD) in women with heart disease or multiple risk factors for heart disease. Studies suggest that vitamin B12 supplements may improve sperm counts and sperm mobility. However, the studies were of poor quality. Better studies are needed to see whether B12 has any real effect. Vitamin B12 plays a vital role in maintaining the health of the central nervous system, in supporting healthy nerve function, in keeping nerve cells healthy, and in protecting against certain types of nerve damage. Nerves are encased in a fatty sheath composed of a protein called myelin which shields nerve fibers from each other. 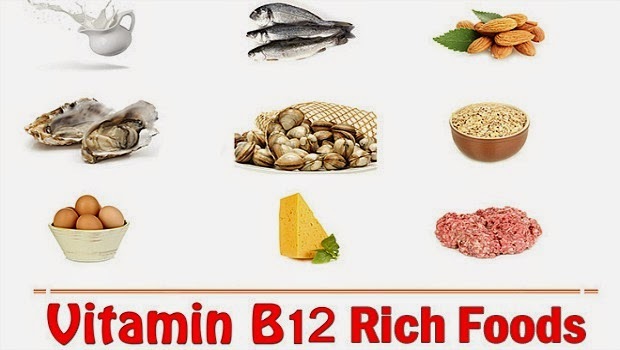 Those who suffer from a vitamin B12 deficiency display irregular damage to myelin sheaths, which could ultimately result in paralysis, nerve and neurological damage, and even death. Vitamin B12 is found naturally in a wide variety of animal foods. Plant foods have no vitamin B12 unless they are fortified. Moderately good sources for this vitamin include all muscle meats and fish, somewhat smaller amounts are also found in milk and other dairy products. Cobalamin is also found in some types of vegetable, particularly plants from the sea - such as different kinds of seaweeds (example wakame and kombu) as well as in fermented legumes like soybeans - tempeh. Cobalamin is also found in nutritional yeast as a cobalamin fortified base can be used to grow different strains of yeast. Synthesized cobalamin can also be used to fortify the base on which certain types of yeasts are grown. Light, acids and alkalis can degrade cobalamin. Cooking does not normally degrade the cobalamin found in food, though overheating foods can destroy most of the vitamin found in the food. A wide variety of supplements of cobalamin are available in the market, these dosages range from a few micrograms up to a milligram or 1000 micrograms per dose. A deficiency of cobalamin tends to affect vegans - extreme vegetarians who avoid even dairy products and eggs, even though the deficiency can take many years to fully develop in the body of a vegan. In addition, a deficiency of cobalamin tends to affect people with malabsorption disorders. High dosages of the vitamin B12 in supplemental form are often a requirement of individuals who suffer from pernicious anemia. An increased risk of developing a deficiency of the vitamin B12 is also evident in older people suffering from urinary incontinence or loss of hearing. For most U.S. adults, the risk of dietary deficiency of vitamin B12 is quite low. The median intake of vitamin B12 in the United States and Canada has been variously estimated between 3 and 7 mcg per day. As such, most people are getting plenty of this vitamin to prevent deficiency. Because vitamin B12 only comes from animal sources, strict vegetarians or vegans who don't consume any animal-based foods are the people most likely to have a deficiency. Those who have difficulty absorbing vitamin B12 may also suffer from a deficiency. Cobalamin is absorbed in the intestines and needs a secretion from the stomach called gastric intrinsic factor in order to be effectively absorbed. Those deficient in gastric intrinsic factor absorb much less vitamin B12, and therefore may suffer from a deficiency of it. General symptoms of vitamin B12 deficiency can include tiredness, weakness, abdominal pain, nausea, constipation, flatulence, reduction in appetite, and menstrual problems. The lack of the intrinsic factor and not a lack of the vitamin in the diet is the most common cause for a deficiency of the cobalamin - a disease called pernicious anemia. Large amounts of this vitamin are usually excreted by people suffering from pernicious anemia especially when it is given to them - this indicates that the vitamin is not being absorbed properly in the gut. Physical symptoms seen during pernicious anemia can include problems such as generalized weakness, a sore and inflamed tongue, the presence of persistent numbness and tingling sensations in the extremities, general pallor and a weakened pulse, muscular stiffness, constant drowsiness, nervous irritability, long term depression and chronic diarrhea. A deficiency of cobalamin even the most severe one may not necessarily result in pernicious anemia in the affected person. At the same time, a marginal deficiency may be expected to induce a much less extreme form of the physical symptoms just mentioned. The first thing to check in a person affected by such physical symptoms on a daily basis is the whether he or she suffers from some form of nutritional deficit - physical symptoms need not necessarily signal a deficiency of a vitamin. Neurological problems can also result from a vitamin B12 deficiency. These problems can include numbness or tingling sensations in the hands and feet, progressive neuropathy, weakness in the legs, and problems walking. Neurologic problems caused by a vitamin B12 deficiency may happen without any hematologic problems (caused by anemia). Depending on the severity of the symptoms, neurologic disorders resulting from a cobalamin deficiency may or may not be able to be reversed through treatment. Adeficiency of also can disrupt the synthesis of DNA, which can negatively affect normal cellular growth and repair. In elderly people, vitamin B12 deficiency may result in mental disorientation, memory loss, and a yellowish tint to the skin (jaundice). The main impairment suffered by a person affected by a cobalamin (vitamin B12) deficiency is an impairment in the activity of the immune system, this occurs primarily by the inhibition of the leukocytes - these are the white and clear protective blood cells found in all human blood. In individuals affected by this symptom, the process of phagocytosis, which is the envelopment of invading pathogenic organisms by the leukocytes, was lowered to slightly more than one third of what normally took place. The rate at which bacteria were eliminated was also lowered. These symptomatic effects were reversed on supplementation with the vitamin. Can You Have Vitamin B12 ( Cobalamin ) Too Much or Too Little? B12 deficiency can cause a type of anemia marked by fewer but larger red blood cells that's called pernicious anemia. It can also cause walking and balance problems, sore tongue, weakness, confusion and, in advanced cases, dementia. Vegetarians who eliminate all animal sources from their diet (also known as vegans) may benefit from taking a vitamin B12 supplement. If you are pregnant or breastfeeding, do not take vitamin B12 in doses greater than the RDA for pregnant (2.6 micrograms/day) or breastfeeding women (2.8 micrograms/day). Some people who have problems with absorption or have had bowel surgery may need injections of Vitamins B12 to prevent deficiency because their bodies can't absorb oral supplements properly. People over age 50 may also need B12 supplements because the aging process diminishes the bodyâ€™s ability to absorb vitamin B12 from natural food sources. The use of supplemental vitamin B12 does not induce any known side effects even at relatively high doses. Taking any one of the B vitamins for a long period of time can result in an imbalance of other important B vitamins. Because of the potential for side effects and interactions with medications, you should take dietary supplements only under the supervision of a knowledgeable health care provider. Many people over age 50 lose the ability to absorb vitamin B12 from foods. People who follow a vegetarian or vegan diet should try to eat vitamin B12-fortified foods or talk to their doctor about taking B12 supplements. Those who have had gastrointestinal surgery, such as weight loss surgery, lose the ability to absorb vitamin B12. People who have digestive disorders, such as celiac disease or Crohn's disease, may not absorb enough vitamin B12. Folic acid supplements taken at or above 1,000 mcg daily can substantially alleviate anemia induced by a deficiency of the vitamin B12 - but this supplement will not affect the major neurological symptoms due to the deficiency of cobalamin. The supplements of folic acid provide a partial solution to one symptomatic problem seen during B12 deficiency, folic acid at these high doses does not generate toxic effects in the body. At the same time, these folic acid supplements will not alleviate all the other symptomatic disorders seen during a deficiency of the vitamin B12 - most of them are neurological and affect the psychological state of the person. Even in individuals who do not require folic acid supplements, a deficiency of vitamin B12 does not necessarily imply anemia. This fact that a B12 deficiency does not necessarily imply anemia is unknown to some doctors - a factor that can contribute to misdiagnosis. The patient may suffer irreversible bio-chemical damage if this misdiagnosis delays the correct identification of a vitamin B12 deficiency. If the doctor is proficient and uses the proper testing procedures, than this very rare problem is unlikely to occur as misdiagnosis will be avoided. A doctor of natural medicine must first evaluate any one who plans to supplement with more than 1,000 mcg daily of folic acid to avoid the problem - such supplemental regimens must be supervised.